A new channel has started in DVB-S2 Clear: Syria Satellite Channel (Syria) on 11592.00MHz, pol.V SR:5426 FEC:5/6 SID:4 PID:770/771 Arabic. Syria Satellite Channel is back on 11602.85MHz, pol.H SR:27500 FEC:5/6 SID:233 after a break ( PID:722/723 Arabic - Clear). New frequency for Syria Satellite Channel: 12729.00MHz, pol.H (DVB-S SR:27500 FEC:5/6 SID:614 PID:1614/2614 Arabic- Clear). A new channel has started in DVB-S Clear: Syria Satellite Channel (Syria) on 11179.00MHz, pol.H SR:27500 FEC:5/6 SID:72 PID:3188/3288 Arabic. New frequency for Syria Satellite Channel: 10921.97MHz, pol.V (DVB-S SR:27500 FEC:5/6 SID:387 PID:1155/1667 Arabic- Clear). New FEC for Syria Satellite Channel on 11679.57MHz, pol.H: FEC:5/6 ( SR:27500 SID:515 PID:851/852 Arabic - Clear). Syria Satellite Channel (Syria) broadcasts in DVB-S Clear on 11641.21MHz, pol.H SR:27500 FEC:3/4 SID:302 PID:521/522 Arabic. Syria Satellite Channel switched to Eutelsat 3B satellite at 11620.00MHz, pol.H (DVB-S , 11620.00MHz, pol.H SR:27500 FEC:3/4 PID:1120/1032 Arabic). A new channel has started in DVB-S Clear: Syria Satellite Channel (Syria) on 11470.00MHz, pol.V SR:27500 FEC:3/4 SID:4021 PID:1120/1032. A new channel has started in DVB-S2 Clear: Syria Satellite Channel (Syria) on 10856.00MHz, pol.V SR:45000 FEC:8/9 SID:515 PID:851/852 Arabic. New PID for Syria Satellite Channel: PID:33/36 Arabic,257 SID:1 (12727.00MHz, pol.H SR:2893 FEC:3/4 - Clear). A new channel has started in DVB-S Clear: Syria Satellite Channel (Syria) on 11054.00MHz, pol.H SR:22000 FEC:1/2 SID:4019 PID:1100/1030 Arabic. A new channel has started in DVB-S Clear: Syria Satellite Channel (Syria) on 11137.00MHz, pol.H SR:22000 FEC:1/2 SID:8 PID:520/1288 Arabic. A new channel has started in DVB-S Clear: Syria Satellite Channel (Syria) on 11390.00MHz, pol.H SR:27500 FEC:3/4 SID:515 PID:851/852 Arabic. A new channel has started in DVB-S Clear: Syria Satellite Channel (Syria) on 10731.00MHz, pol.V SR:27500 FEC:3/4 SID:515 PID:851/852 Arabic. New SID for Syria Satellite Channel on 12727.00MHz, pol.H FEC:3/4 SR:2893: SID:2 ( PID:308/256 Arabic,257 - Clear). New SID for Syria Satellite Channel on 12727.00MHz, pol.H FEC:3/4 SR:2893: SID:1 ( PID:308/256 Arabic,257 - Clear). A new channel has started in DVB-S Clear: Syria Satellite Channel (Syria) on 12549.00MHz, pol.H SR:8800 FEC:3/4 SID:1 PID:308/256 Arabic,257. Syria Satellite Channel switched to Nilesat 201 satellite at 11823.00MHz, pol.V (DVB-S , 11823.00MHz, pol.V SR:27500 FEC:5/6 PID:1122/1123 Arabic). New PID for Syria Satellite Channel: PID:851/852 Arabic SID:515 (11679.57MHz, pol.H SR:27500 FEC:3/4 - Clear). New frequency for Syria Satellite Channel: 12727.00MHz, pol.H (DVB-S SR:2893 FEC:3/4 SID:2 PID:308/256 Arabic,257 - Clear). New frequency for Syria Satellite Channel: 11602.85MHz, pol.H (DVB-S SR:27500 FEC:3/4 SID:214 PID:541/542 Arabic- Clear). Syria Satellite Channel (Syria) broadcasts in DVB-S Clear on 11602.85MHz, pol.H SR:27500 FEC:3/4 SID:214 PID:541/542 Arabic. New frequency for Syria Satellite Channel: 11296.00MHz, pol.H (DVB-S SR:27500 FEC:5/6 SID:1110 PID:1122/1123 Arabic- Clear). ADD: New frequency for Syria Satellite Channel: 12015.00MHz, pol.H (DVB-S SR:27500 FEC:3/4 SID:485 PID:526/5654 Arabic- Clear). New FEC for Syria Satellite Channel on 11823.00MHz, pol.V: FEC:5/6 ( SR:27500 SID:1110 PID:1122/1123 Arabic - Clear). Syria Satellite Channel switched to Eutelsat 10A satellite at 11148.50MHz, pol.H (DVB-S , 11148.50MHz, pol.H SR:2893 FEC:3/4 PID:308/256 Arabic,257 ). New frequency for Syria Satellite Channel: 11771.00MHz, pol.H (DVB-S SR:18000 FEC:3/4 SID:42 PID:4260/4220 Arabic- Clear). New frequency for Syria Satellite Channel: 11771.00MHz, pol.H (DVB-S SR:18000 FEC:3/4 SID:43 PID:4360/4320 Arabic- Clear). New frequency for Syria Satellite Channel: 11771.00MHz, pol.H (DVB-S SR:18000 FEC:3/4 SID:44 PID:4460/4420 Arabic- Clear). New frequency for Syria Satellite Channel: 11771.00MHz, pol.H (DVB-S SR:18000 FEC:3/4 SID:45 PID:4560/4520 Arabic- Clear). New frequency for Syria Satellite Channel: 12188.00MHz, pol.H (DVB-S SR:27500 FEC:3/4 SID:1803 PID:2103/2203 Arabic- Clear). A new channel has started in DVB-S Clear: Syria Satellite Channel (Syria) on 11473.00MHz, pol.H SR:27500 FEC:3/4 SID:3002 PID:3022/3032 Arabic. ADD: Syria Satellite Channel (Syria) broadcasts in DVB-S Clear on 12054.00MHz, pol.V SR:27500 FEC:3/4 SID:1803 PID:2103/2203 Arabic. A new channel has started in DVB-S Clear: Syria Satellite Channel (Syria) on 11148.50MHz, pol.H SR:2893 FEC:3/4 SID:2 PID:308/256 Arabic. A new channel has started in DVB-S Clear: Syria Satellite Channel (Syria) on 12748.00MHz, pol.H SR:2894 FEC:3/4 SID:2 PID:33/36 Arabic. New frequency for Syria Satellite Channel: 11938.00MHz, pol.V (DVB-S SR:27500 FEC:3/4 SID:501 PID:3460/3420 Arabic- Clear). A new channel has started in DVB-S Clear: Syria Satellite Channel (Syria) on 11747.00MHz, pol.V SR:27500 FEC:3/4 SID:410 PID:4060/4020 Arabic. 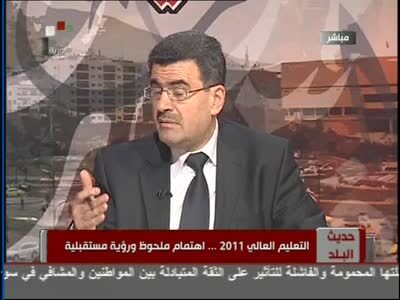 New frequency for Syria Satellite Channel: 12380.00MHz, pol.V (DVB-S SR:27500 FEC:3/4 SID:3002 PID:3022/3032- Clear).